It’s an exaggeration to say that grown men have pulled their own heads off rather than undergoing the nerve wracking exercise of applying cabinet decals that cost hundreds of dollars. And that’s despite the fact that sticking on decals is relatively easy. Especially when compared to redoing the artwork on EMs and solid state machines. This involves painting two colours directly on to the cabinet, and it’s generally done using stencils. So enter Jeff “The Pinball Pimp” Miller, a highly talkative, super-confident graphic artist and pinball machine restorer based down in Tampa, Florida. Now here’s the problem. Mucking about with stencils shouldn’t be that hard in theory – it just involves sticking them on the cabinet straight and painting through the holes. Most cabs only need two colours, so that’s only two stencils per surface. But plenty of people have had all kinds of problems with stencils from some suppliers – the colours don’t line up, the holes are in the wrong places, they are missing detail – those kind of rather serious problems. 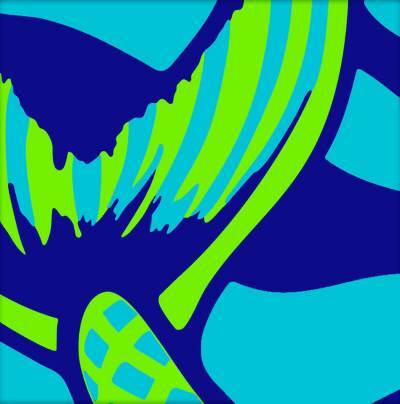 So what makes Miller’s stencils different? He reckons that many stencil makers get the cabinet artwork from photos. That’s a big no no, he says, because it inevitably means that it is never quite in proportion. Then they use autotrace software to detect the outlines of painted areas. “That means there is no bleed, so it is impossible to line them up perfectly,” he adds. The Pinball Pimp’s technique is bizarrely different. Does he use a camera? Does he heck. No, Miller painstakingly scans the cabinet artwork. He scans the whole of one side in ten overlapping scans, and then assembles a life-size image in Photoshop. Repeat for the other side of the cabinet, three more scans each for both sides of the back box, and he’s done. “It would take a normal person a week to do all that work,” he says. The clean up, in case you’re wondering, involves making the artwork more perfect than the original by using the computer to make circles perfectly round, lines perfectly parallel and so on. “When they were originally made these stencils were cut by hand, but if they had had computers back then they would have done them like this,” he says. One more step is to select two areas of each surface – top left and bottom right –where no paint is applied. Here Miller puts two small squares which are used for registration to make sure that each stencil lines up with the next one perfectly. The stencils are then cut on Miller’s precision plotter cutter – a process that takes a couple of hours to complete. Which stencils are most popular? Miller says that changes over time, but for a while it was Fathom, and then Centaur. 8 Ball Deluxe has been steady, and any game like Flash Gordon with red – a colour prone to fading – is also likely to be popular. Fathom is another troublemaker, due to the 200 individual scales on the side, he adds. As for what titles he’s working on, he says next up is Space Invaders. But in general he tries to produce stencils for whatever playfields CPR are working on. 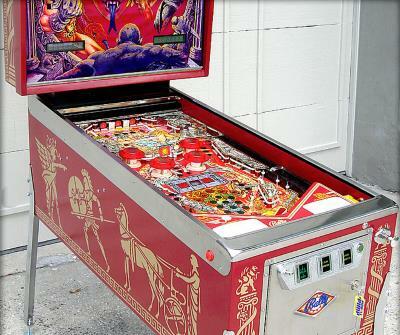 “There’s no point in anyone redoing the cab if the playfield is dingy,” he points out. Since Miller started making the stencils about a year ago the rate of sales have trebled: he reckons he now sells an average of one every day. And every one he sells means another cabinet, somewhere in the world, is getting restored back to its former glory. Jeff is a consummate expert and professional in his craft. I’ve used him on a few occasions and he has always done exactly what he said he would do and delivered in a timely fashion and at a good and fair price. That is my Medusa at the bottom of this article and let me tell you it is a stunning piece of art. He used his stencils on it which cannot be compared to any others available on the planet and his exterior restoration was top notch. Thanks for your comment Russ. And wow, that Medusa really is stunning! 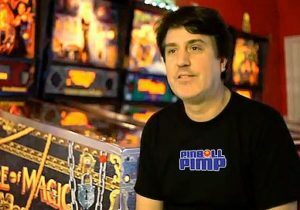 THE ABSOLUTE UNDISPUTED PINBALL PIMP! Jeff’s A true PROFESSIONAL and a great guy to deal with. Thanks for your help to keep the classics ALIVE!